Each year Z60 branch hold an annual Christmas Dinner for its retired members and this year is no exception. The dinner is to be held on November 30th at the Assembly rooms Lincoln at 12:30 and consists of a 4 course meal with a delicious menu of choice. 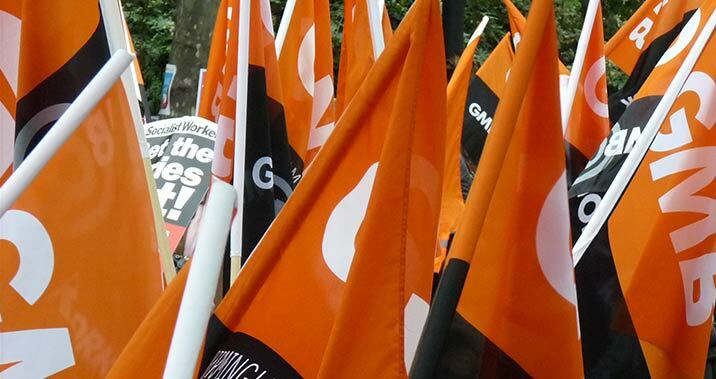 GMB is the UK’s third largest trade union and we’re growing fast. Membership has increased 15% in real terms in the last five years. Could all members and workplace reps please print off a copy for display in your workareas. All the info required is on the poster. Could all workplace reps submit a report please. We don’t want pages and pages just an over view of what’s happening in your workplace area. Apologies for the delay, have had difficulty uploading but sorted now. Z60 BRANCH MEMBERS ARE REQUESTED TO JOIN THE PROTEST TOMORROW EVENING AT ULHT TO SHOW OUR SUPPORT AGAINST THE CLOSURE OF AN ESSENTIAL SERVICE IN THE CITY.